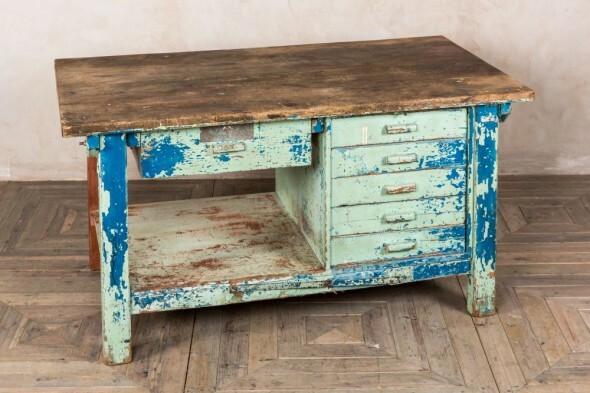 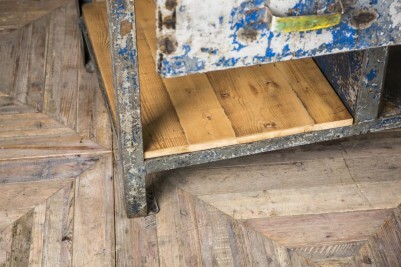 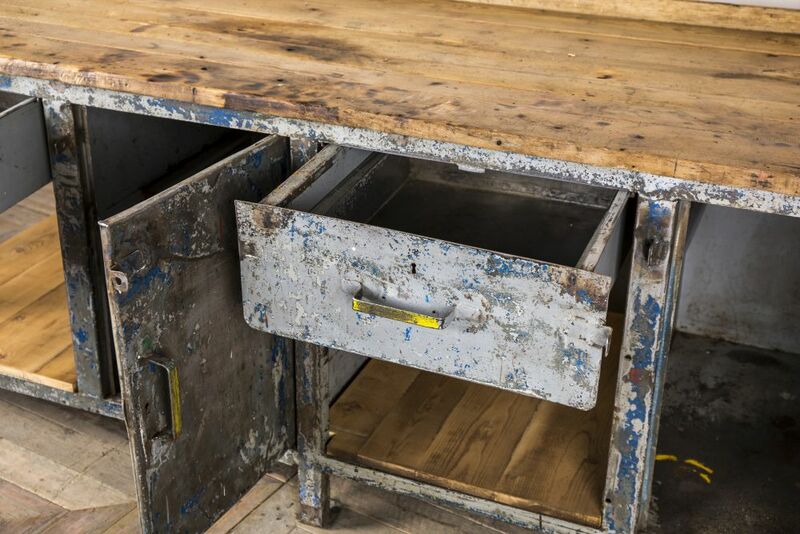 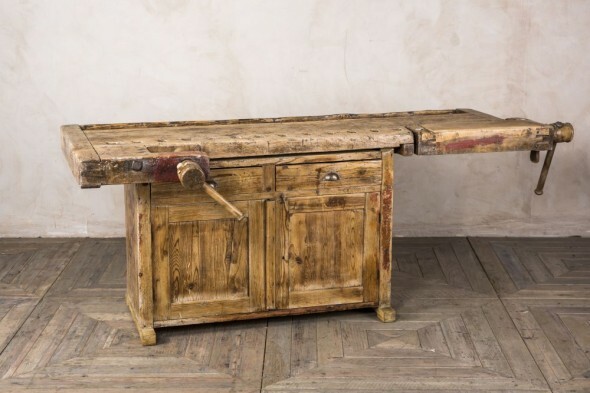 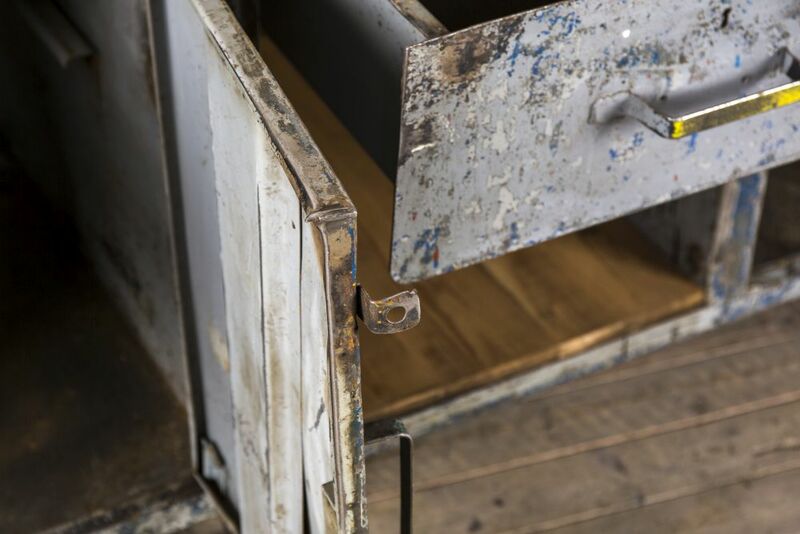 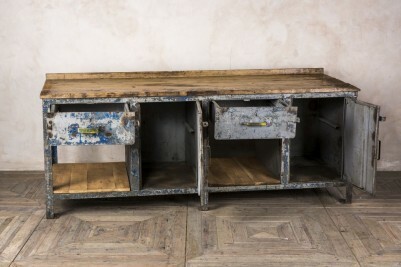 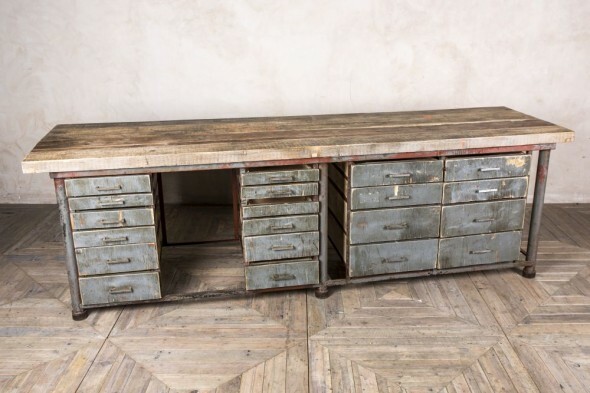 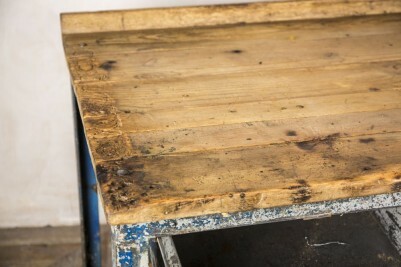 Style your home or business with this distressed sideboard for a standout industrial feature. 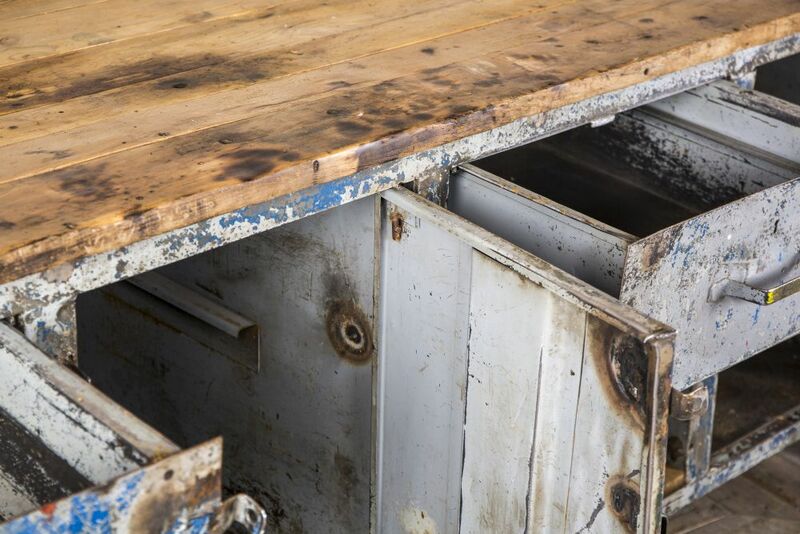 The sideboard has a metal frame and wooden worktop and shelves. The frame has remnants of old paint that adds a pop of colour and industrial style to the sideboard. 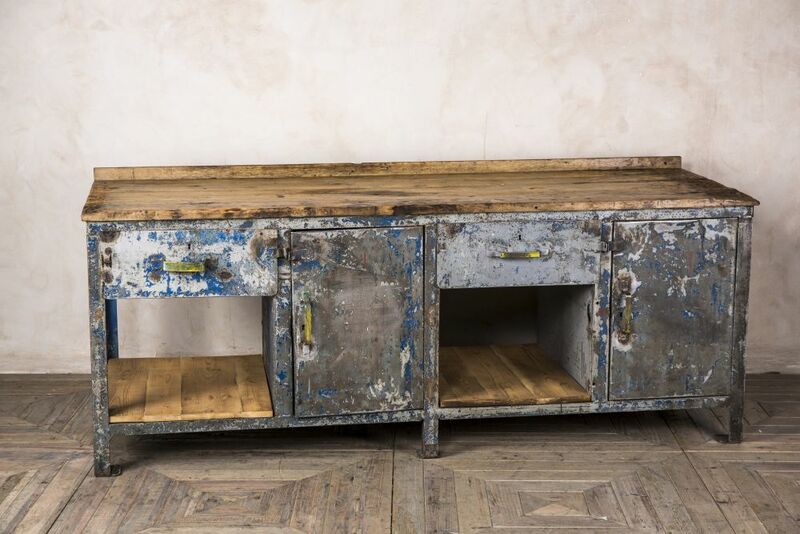 The sideboard offers ample storage space, with two spacious drawers, two cupboards and two shelves. 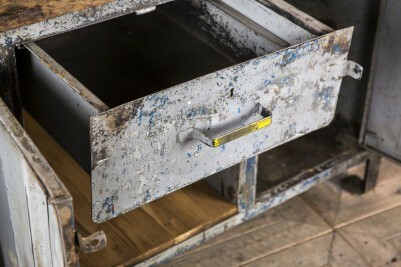 The storage space would be ideal for keeping menus, cutlery, and condiments in a bar or restaurant. 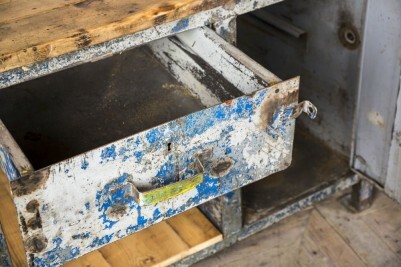 As this is an original vintage item that has seen lots of use over the years, please allow for signs of wear and tear.